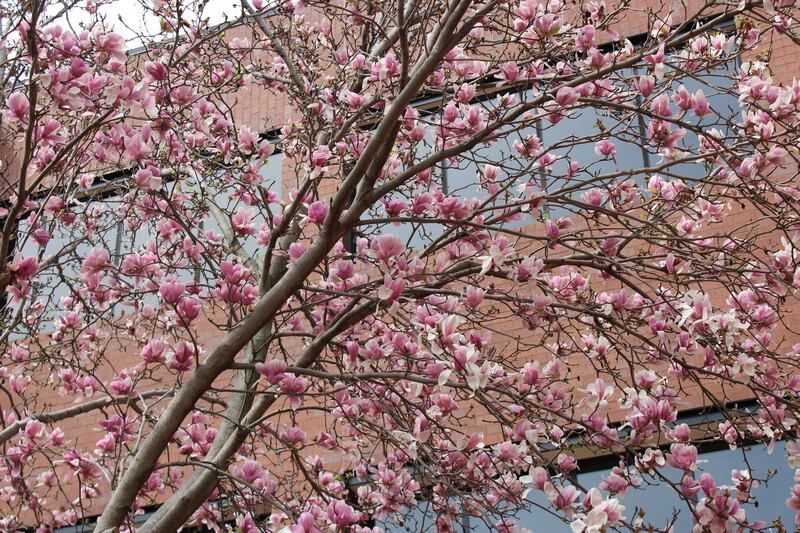 All over the campus the trees and flowers are in bloom. 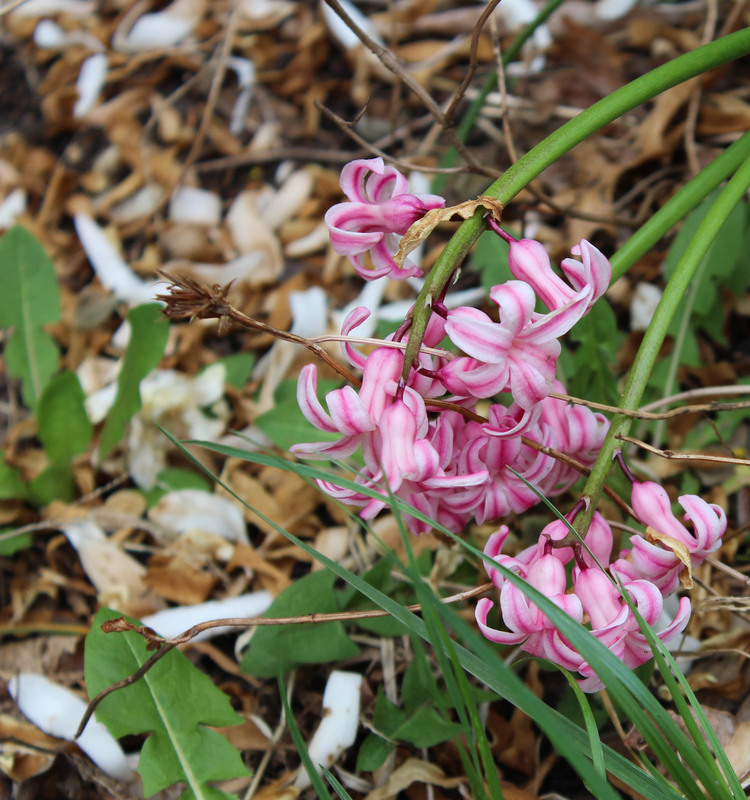 The tree near the rabbit has pretty pink flowers. Photo by: Jennifer Tharp, The Campus Ledger. 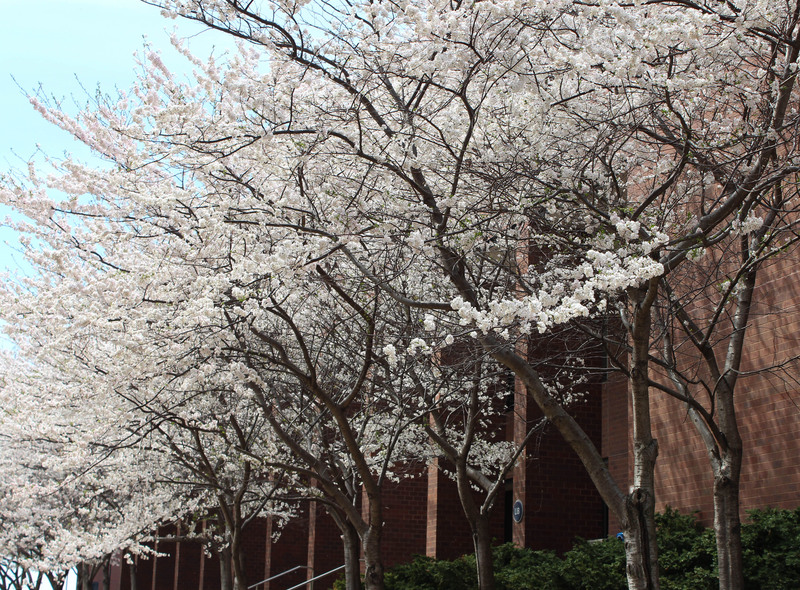 The trees next to the library are in full bloom showing off the white flowers making the walkway looks like it’s from a fairy-tale land. Photo by: Jennifer Tharp, The Campus Ledger. 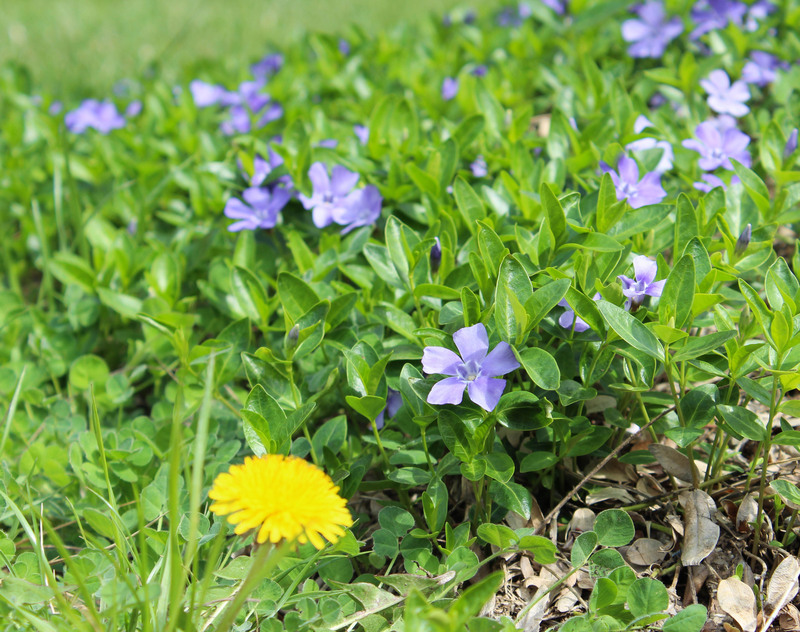 Little flowers are all over campus that have bright and vibrant colors making the campus a little bit of a brighter place to be. Photo by: Jennifer Tharp, The Campus Ledger. The clash of the colors makes for a pretty sight that students can look at and enjoy in their busy lives. Photo by: Jennifer Tharp, The Campus Ledger. 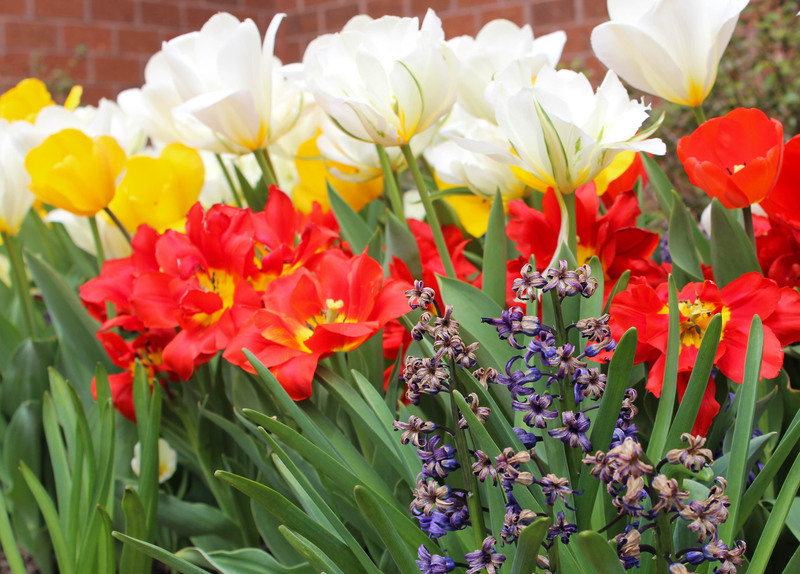 There are all types of flowers all over campus that are showing off their bright colors. With a nice high of 80 degrees Fahrenheit (27 degrees Celsius). Photo by: Jennifer Tharp, The Campus Ledger. 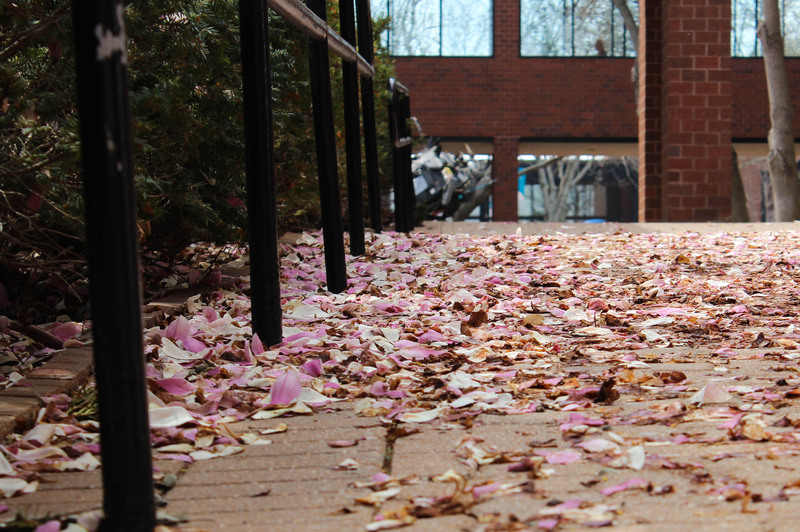 The walkway that leads into the Carlsen Center is covered with flower petals that have fell on the walkway, making the campus look pretty with petals. Photo by: Jennifer Tharp, The Campus Ledger.